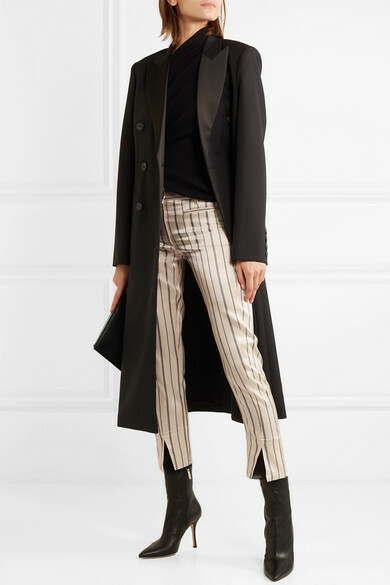 Ann Demeulemeester's pants are made from ecru cotton-blend satin emblazoned with black stripes in different spacing. 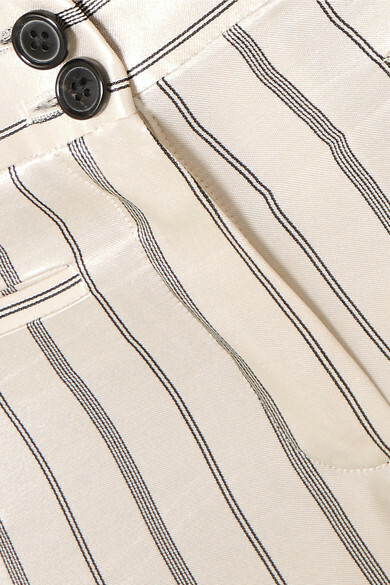 This slim-fitting pair has belt loops at the mid-rise waistband and smart tonal buttons. 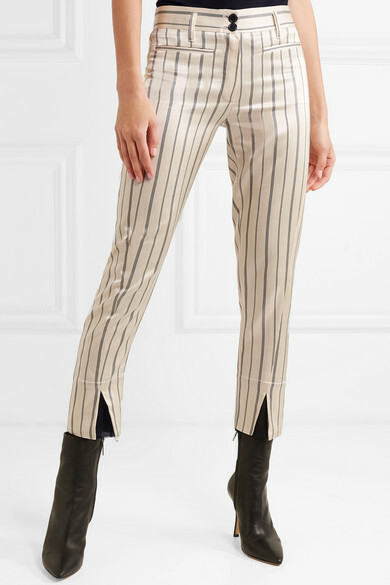 The cropped length with work especially well with heavy-duty boots or chunky sneakers. Shown here with: Rick Owens Top, Victoria Beckham Coat, The Row Ankle boots, Givenchy Pouch.